← SFBCA at the Birkdale Community Ctre. Many fly fishermen tie their own flies, but some do not (poor misguided souls), regardless no one can have too many flies.Prices vary depending on the size, complexity and materials used to tie the fly. Best bet would be to visit a local fly shop and ask for advice on what to buy. It helps if you know the rivers your gift-getter fishes and the type of prey they go after (trout, salmon, etc.). Many stores also offer pre-selected boxed sets, which makes choosing flies easier. A good online option that we use is Reel Flies, a great Canadian company that churns out well tied flies for not much money. 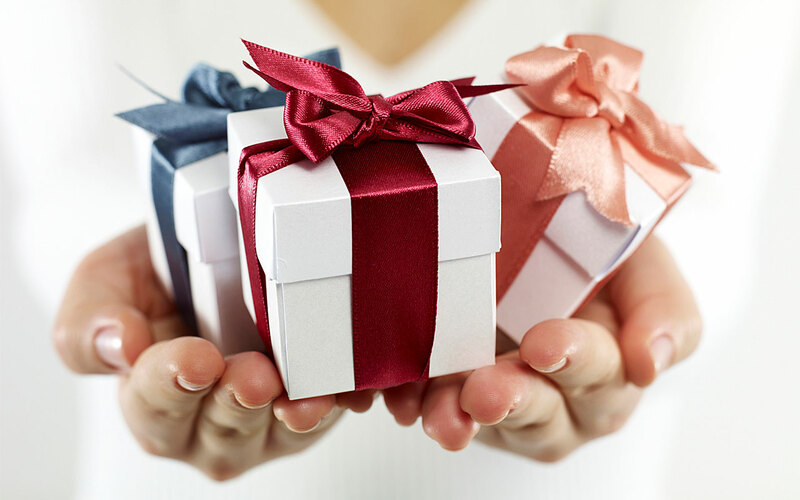 Reel Flies also sells gift cards so your gift-getter can choose his own flies. Since fly fishermen have lots of flies, it stands to reason that they always need boxes to keep them in. Most anglers carry a clear double sided box with a variety of flies that they plan to use for their day on the river. They might also carry a small box (10 flies) of the flies that are hitting at a particular moment. Anglers carry a lot of stuff when fishing (hooks, floats, split shot, etc.) so having some small boxes with lots of compartments is a great way to stay organized on the water. Boxes made of clear plastic are preferable since it allows you to see what’s inside without opening the box (and possibly spilling the contents). You can get these types of plastic boxes at the dollar store and at most sporting goods store. 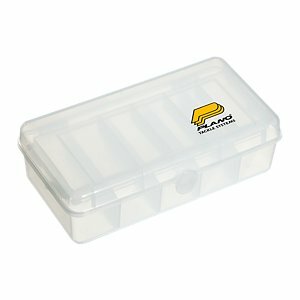 Plano brand makes tough, well constructed storage boxes. First off, you can’t use sewing thread to tie flies. If you want to buy some fly tying thread it will have to be purchased from a sporting good store, fly shop etc. Some reputable thread manufacturers include UNI, Gudebrod, Veevus and Danville. Thread comes in different widths or deniers (fine thread for small flies, larger widths for larger flies). 6/0 and 8/0 are common thread sizes that will work for most flies. Brown, black, white, red,tan and olive are colors that will come in handy. Most anglers wear polarized sunglasses while fishing (it helps cut glare and makes it easier to spot fish). Most anglers also drop lots of sunglasses into the lake or forget them on the river bank. Attaching sunglasses to a retainer cord should eliminate these problems. I prefer retainers that float and come in bright colors to make it easier to find and retrieve your glasses if they do happen to slip off. 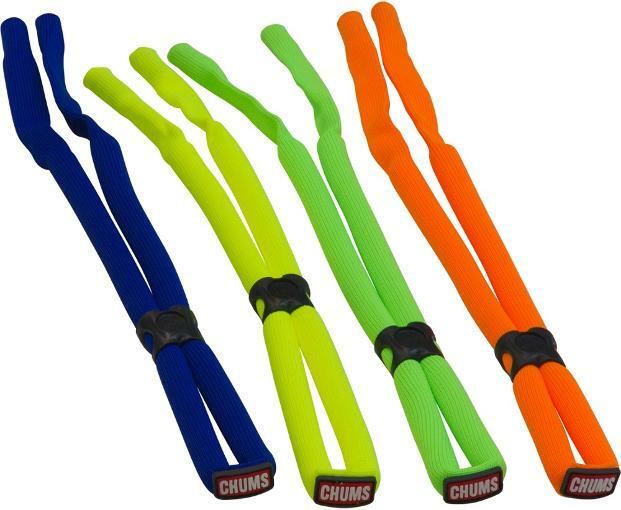 A good way to lose fish is to use dull hooks. By having a small hook sharpener, hooks can be given a quick touch up to keep them nice and sharp. Fits easily into a fishing vest pocket. 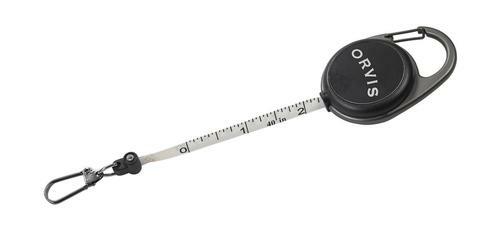 The bobbin is a fly tying tool that holds the fly tying thread spool. Most fly tiers have a few bobbins threaded and ready to go with various colours and thicknesses of thread. 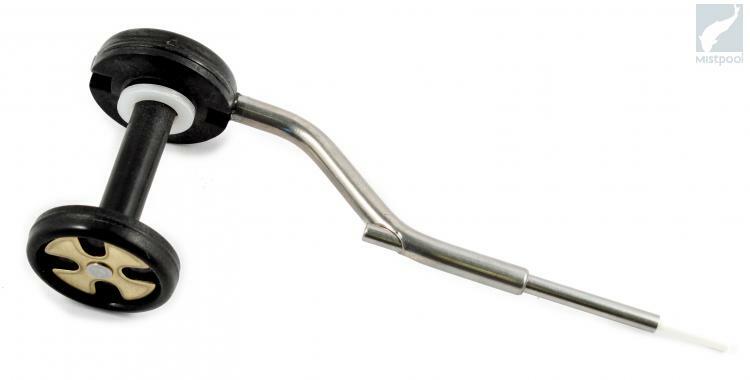 At $25 The Rite Adjustable Bobbin is a great little tool. Lots of anglers take their phones fishing in case of emergency calls or to take pics of the fish they just caught. Unfortunately water and cell phones don’t mix so a little protection is needed. You can get cases that are cheap, but something in the $25 range usually has tougher plastic and a better sealing system to keep your valuables safe and dry. 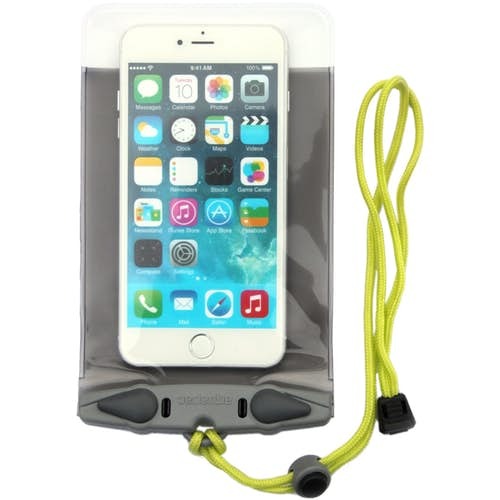 Pouches also come in smaller sizes to protect key fobs, cameras and other electronic gizmos. Fly line is not cheap ($50 – $150+) and needs regular cleaning and protection. A bottle of any line dressing would make a very useful and appreciated stocking stuffer. 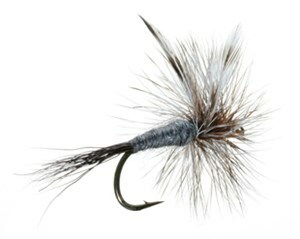 This entry was posted in Fly fishing, Gear and tagged fly fishing, Gear. Bookmark the permalink.